Author: IUCN GGO. (2012). (L. Aguilar, Author, C. Campbell, M. Hill Rojas, & S. Murray, Eds.). This fact-sheet shows why a gender perspective is important for fishery and aquaculture policies and practices. At least 50 million women in developing countries are employed in the fishing industry, predominantly in low-grade, unskilled jobs. 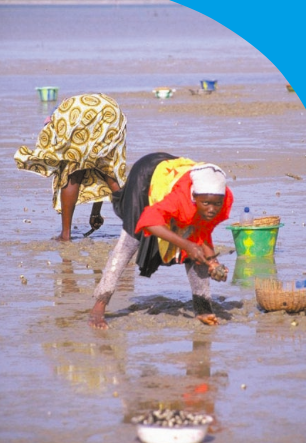 Sustainable coastal-marine zone management and conservation requires a clear understanding of the differences and inequalities between women and men.